I initially bought this game because I was looking for co-op games, so I could play with my younger sister. I bought this one, Mortal Kombat X and got Rayman Legends for my birthday, but I ended up playing this game mostly on my own, because my little sister apparently doesn’t enjoy dungeon crawlers. I, however, do. A lot. 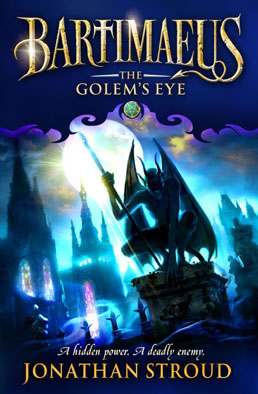 The Golem’s Eye by Jonathan Stroud is the third book of the Bartimaeus Sequence and the second book of the original Bartimaeus trilogy. It takes place two years after the first book. 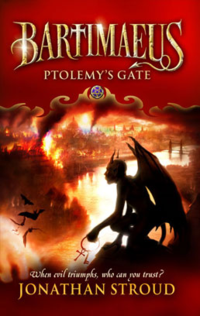 Demonstorm is the third book of The Legend of The Raven series by James Barclay. It was supposed to be the last book in the series – how couldn’t it be with that ending? – but Barclay decided to add the fourth and last book Ravensoul. A good but surprising call. Anyway, here’s my review.